Sharks, Spanish, trout, and flounder were the ticket today!! William got this stud black tip today, approximately 70#s! All Girls Trip Fishing Cape San Blas for Sharks and More! Posted in Fishing Charter Pictures	| Comments Off on All Girls Trip Fishing Cape San Blas for Sharks and More! Big catch on St Joe Bay! Wibb and the crew we’re back for a two boat trip with Capt Taft!! Caught 5 trout over 22 inches!!! Posted in Fishing Charter Pictures	| Comments Off on Big catch on St Joe Bay! Coy and Mandy’s Trophy Day! Coy got a trophy redfish at 30 inches and Mandy caught a trophy trout at 24 inches!! Posted in Fishing Charter Pictures	| Comments Off on Coy and Mandy’s Trophy Day! Sharks at Indian Pass, Florida!! Lots of big sharks at Indian Pass today!! Posted in Fishing Charter Pictures	| Comments Off on Sharks at Indian Pass, Florida!! Mr. Jackson Takes on St Joe Bay!! Action Jackson…7 years of age…4 feet 2 inches…a comfortable 63 pounds…24 inch Speckled Trout……….FISH SLAYER!!!!! 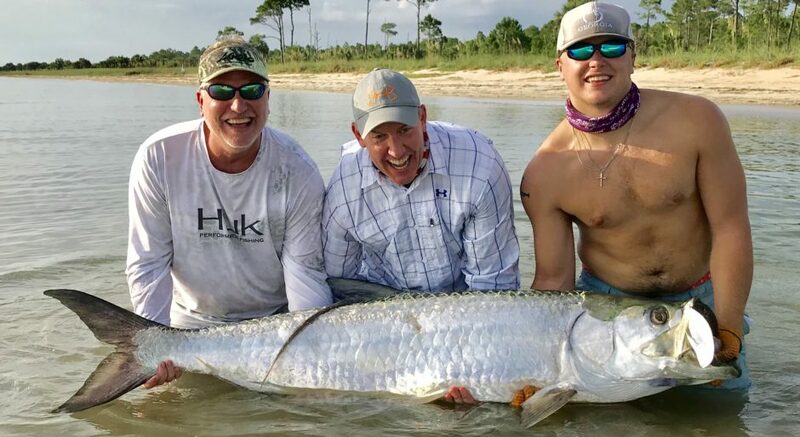 Posted in Fishing Charter Pictures	| Comments Off on Mr. Jackson Takes on St Joe Bay!! Posted in Fishing Charter Pictures	| Comments Off on The Horrendous Storm!!!! St Joe Bay Shark Trip….Cut Short! The boys had 7 black tip sharks, a nice spanish, 5 flounder and 4 trout before the storms ran us off!! Posted in Fishing Charter Pictures	| Comments Off on St Joe Bay Shark Trip….Cut Short!